So, “how much power has it got mister?” or indeed “what brake horse has it got mate” are i’m sure, things you’ve heard all too often. The problem with this is, as the old adage goes:- “brake horsepower sells engines, whereas torque wins races”. This is, and always has been so. 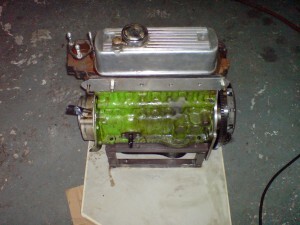 We personally advise you (after asking what indeed you’d like to do with the engine) along with where it’s being used, how it’s being used and finally, your financial expectations of the build. As a quick example, there’s just no point in an engine that idles at 1500rpm, only comes ‘on cam’ at 3500-4rpm and does approx 8mpg for a road car. Well, not without the shell going on the latest Hollywood diet, a close ratio probably straight cut gearbox and, suspension and tyres to match. Even then, you’d i’m sure get fed up within a very short space of time. No, what you needed was a torquey engine, able to pull from low revs with utter reliability and a reasonable mpg. Because you actually like to talk with your passengers, you even like the feel of carpets and, heaven forbid you would have to change oil every 1000 miles or use aviation fuel to stop the ‘pinking’ whilst climbing Fish Hill in 3rd gear. So, at the risk of sounding patronising (really we’re not), we’d just like you to enjoy your car. Doing just what it is that you as an individual, like doing. looking at Picture 1, you’d be forgiven thinking it’s almost a ‘lost cause’ ! 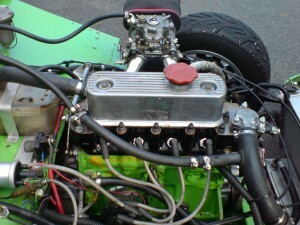 However, this engine was built by us for D.Mooneys race Sebring Sprite. A class ‘B’ car in the Midget Challenge, it won not only most races but, the overall championship. A full house 1380cc at this point, with the usual care put into the build as always. There is another story to this particular engine:- it was hired to Graysin Racing for their first seasons racing, along with the entire car. As complete novices they, i’m sure will fully admit to being on a VERY steep learning curve vis-a-vis racing and all it entails. Include this fact with overevving/valve bounce/occasional missed changes etc etc and, i’m sure you’ll agree that with only a valve lap and oil changes, the engine has been utterly reliable for what amounts to approximately 1500-2000 race/track day miles ! 12% leak down figures were reduced to 6% with the valve lapping only. Not too shabby for an ‘A’ series. Finally as of 24/9/2012 it was leant to a racer at Spa, having been taken as a spare engine. It was fitted in the pits and raced by Drew Camron. Finished, returned to England and removed from the car, it was delivered back to the workshops with a nice bottle of scotch. This is how you see it now.